I am happy to have work included in the WPA Select Art Auction held in Washington DC on March 12th. The event will be held at 700 Sixth Street NW, Washington, DC, an Akridge property. 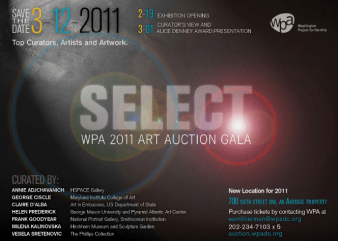 Featuring works by over 100 artists selected by 8 of our top curators, Select: the WPA 2011 Art Auction Exhibition will be on view from February 19 through March 12 at 700 Sixth Street NW. A not-to-miss event leading up to the Auction will be the Curator Talks and presentation of the Alice Denney Award for Contemporary Art to William Christenberry on Tuesday, March 1 at 6 pm at 700 Sixth Street NW, 10th floor. 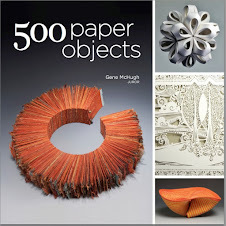 The exhibition and curator talk are free and open to the public.